There are two mailing lists, one in french and the other in english. The french one is more active and accept some english messages, but all announces are in french. to unsubscribe, an e-mail to MaTirelire-unsubscribe@yahoogroupes.fr. to unsubscribe, an e-mail to Ma_Tirelire_English-unsubscribe@yahoogroups.com. You don't need a Yahoo! 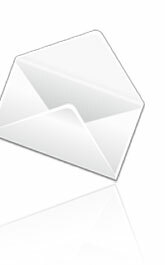 group membership to read and write messages from/to these mailing lists. To contact the author direcly, you can send an e-mail to info@ma-tirelire.net. The web site design, as the new Ma Tirelire icon, was done by Gofre. The documentation was edited in french by Daniel Pontreau and Claire Nurcombe translated it to english.